I am trying to learn crochet on my own. 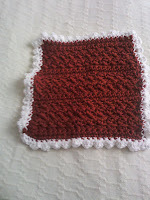 I use YouTube and have learnt how to add edgings to things like my shawls, baby blankets, afghans and Angel pockets. So I decided to have a go at making a wash cloth for myself. 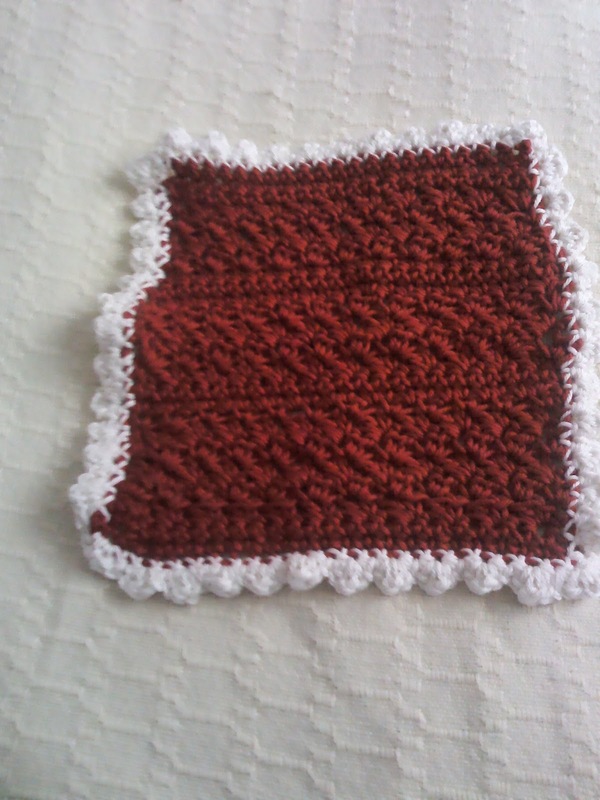 Nothing fancy just a simple wash cloth and came up with this. It has not been blocked so looks a little wonky. 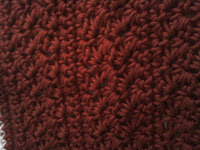 The pattern is a mix of Single crochet (SC) and double crochet (DC) I did a few SC rows with a few rows that have SC and DC in the same hole to make a little shell, I added them where I thought they would go and it turned out quite pretty. No idea how to write down what I did but I like the effect. I added a shell edge by doing 1SC, 1DC and another SC all in the same hole. 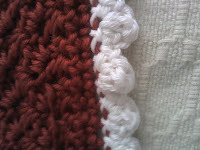 I then slip stitched into the next hole, chained 1 then repeated the shell pattern all the way around the wash cloth. 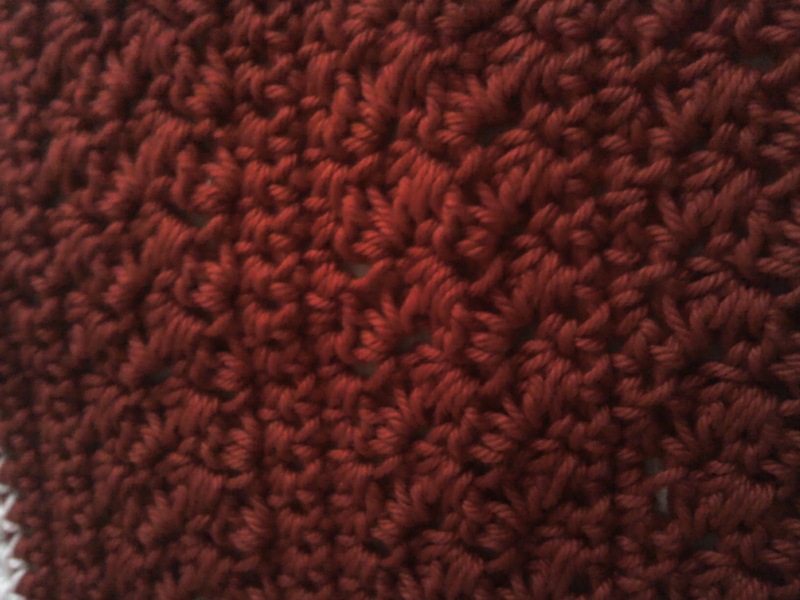 I used some cotton yarn that I had from a previous project that was in my stash and used it all up. 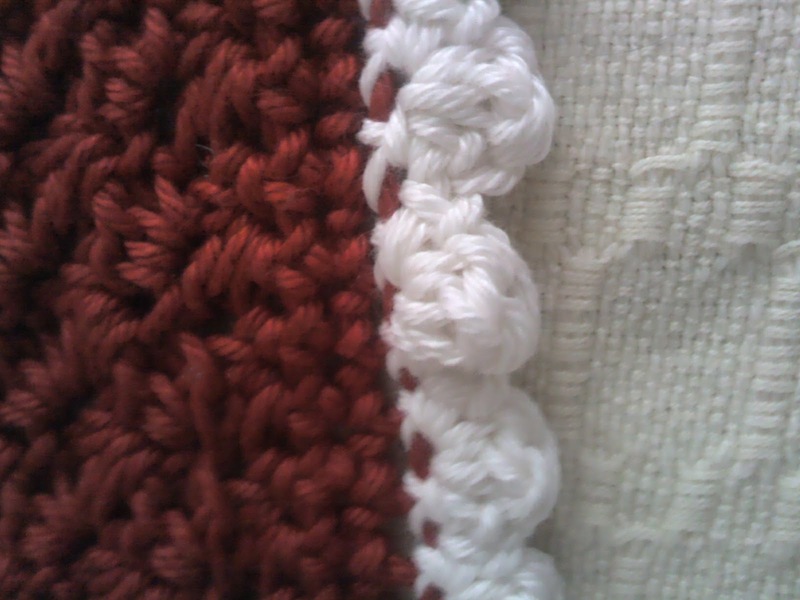 I added a white border as I have some white cotton yarn as well. A 4mm hook was used mainly because I like the feel of this hook compared to some others I have. To those that can crochet this is probably a little odd looking but I like it and it is for me no one else. I am well aware it is not good enough to give as a gift but we all have to start somewhere. So crochet experiment completed and a little more stash used as well.